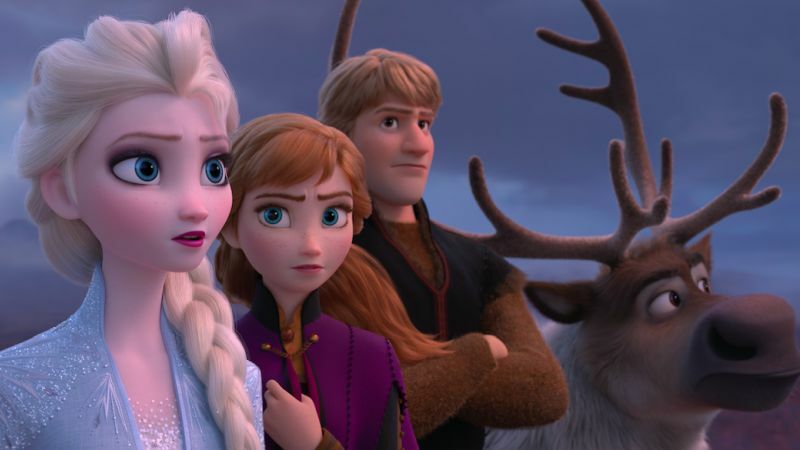 The team behind the first Frozen is back for the sequel: Jennifer Lee and Chris Buck are directing the voices of Idina Menzel (Elsa), Kristen Bell (Ana), Jonathan Groff (Kristoff) and Josh Gad (Olaf). After cutting together the trailer for the sure-fire mega hit Frozen 2, Disney has finally made a decision to "let it go", allowing it to roam free on the icy tundra that is the Internet. Joining them will be Evan Rachel Wood (Westworld) and Sterling K. Brown (The Predator). Songwriters Kristen Anderson-Lopez and Robert Lopez are once again writing the film's music. "At last, I can say - FROZEN 2!". But the clip definitely teases a darker film than the original. The original "Frozen" movie became a massive hit when it opened in 2013, earning over $1.3 billion at the worldwide box office, along with two Oscars. "Frozen" was adapted as a Broadway musical in 2018, where it was nominated for three Tonys.